Mardi Gras is a Charlemagne community celebration where you can play carnival games, wear costumes, buy great food, and win great prizes! Come spend time with your family and friends, get your face painted, have fun with the photobooth, and enjoy the games and possibly win a cake! Entrance is free. 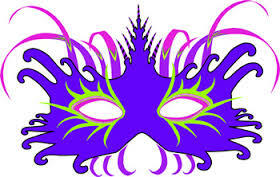 Tickets are 50 cents each and will be sold at the Mardi Gras store for games and raffle. If you would like assistance with game tickets, please see Mme. Bernadette. We want to see all our Charlemagne families at this event! So save the date and plan to join us for a great evening. 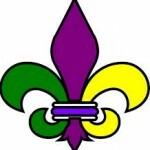 The Mardi Gras store is your place to buy tickets. Tickets are 50 cents each, and can be used to enter the raffles, play games, or buy food. You can also buy hats, glasses, beads, rings, masks, and great light up products! The Mardi Gras Store will be open every day this week after school. 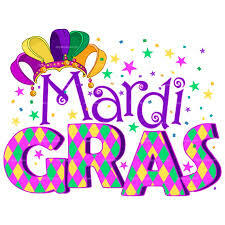 Come by and get your beads, masks, hats and all that glitters. Volunteers and baked goods are still needed – please sign up here to help out.